Chevron Cars Website. Site based around toy cars sold by Chevron. 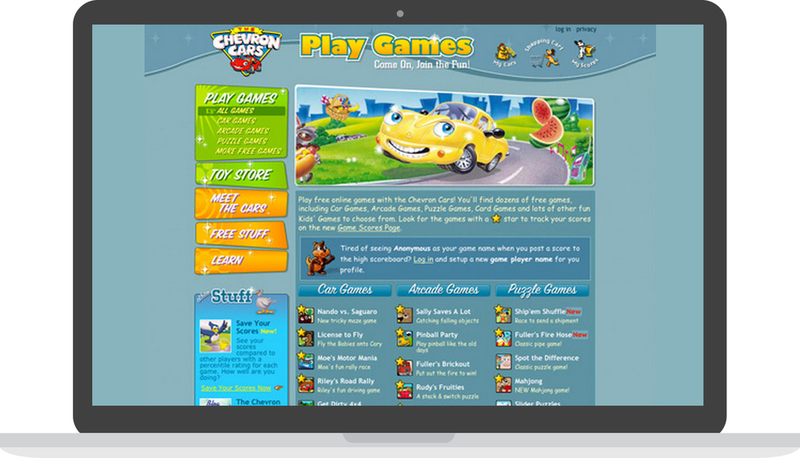 Provided users with online games, activities, and information about collectable cars. As one of the main designers, helped maintain & update the site. 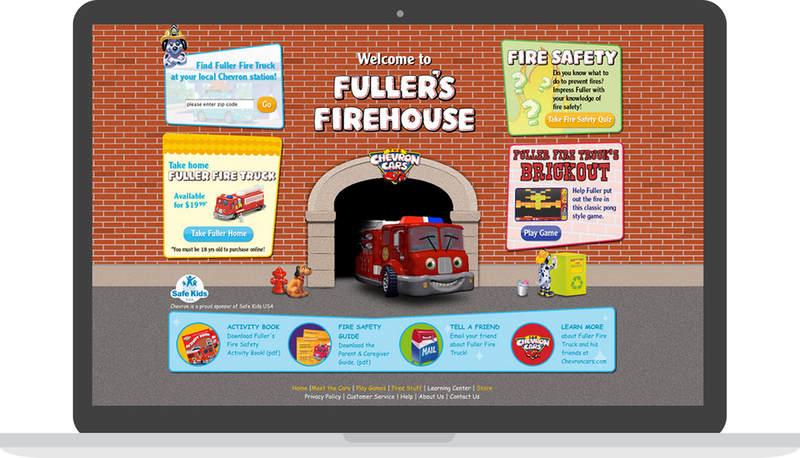 Designed flash games, coloring pages, puzzles, banners, photography of cars for car launch, & page layout (including HTML/CSS).